The National Urban Ministry Association serves as a hub that provides resources, support, research, collaboration, and a voice for the poor through a network of urban ministries and urban churches. We are a group of incarnational urban ministries and individuals networked together to fulfill the Great Commission through the church. 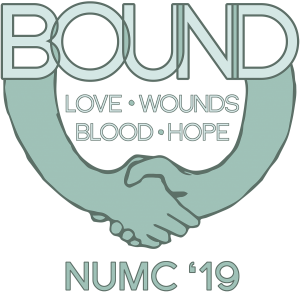 The 2019 National Urban Ministry Conference is being hosted by the Impact Houston Church of Christ. We are Christians, called by God to serve the city. We join the work that God is already doing in the city to serve the poor and the lost. We care about the brokenness, hurt, and pain in our world; about the people in our cities who have no shepherd. We believe that, by the power of God through His Holy Spirit, we can do something about it. The National Urban Ministry Conference is a gathering of people who have a passion for loving and serving the hurting, wounded, marginalized, and lost: Church leaders, volunteers, and members serving in urban contexts; churches and individuals who support urban ministries; college students, interns, church planters, and others interested in urban ministry; other churches with a desire to reach out to marginalized populations; social workers, teachers, non-profits, and other para-church organizations – anyone compelled by Christ’s love for the “least of these.” NUMC is an opportunity for those who pour themselves out on behalf of others to be encouraged by people with similar struggles and convictions and to become better equipped to serve in their ministry contexts.